When we first began our diet shifts, pie crusts were essentially …out. Because I could no longer eat the Pillsbury kind, that came in a frozen roll, and I was pretty certain there was no other pie crust in the world. 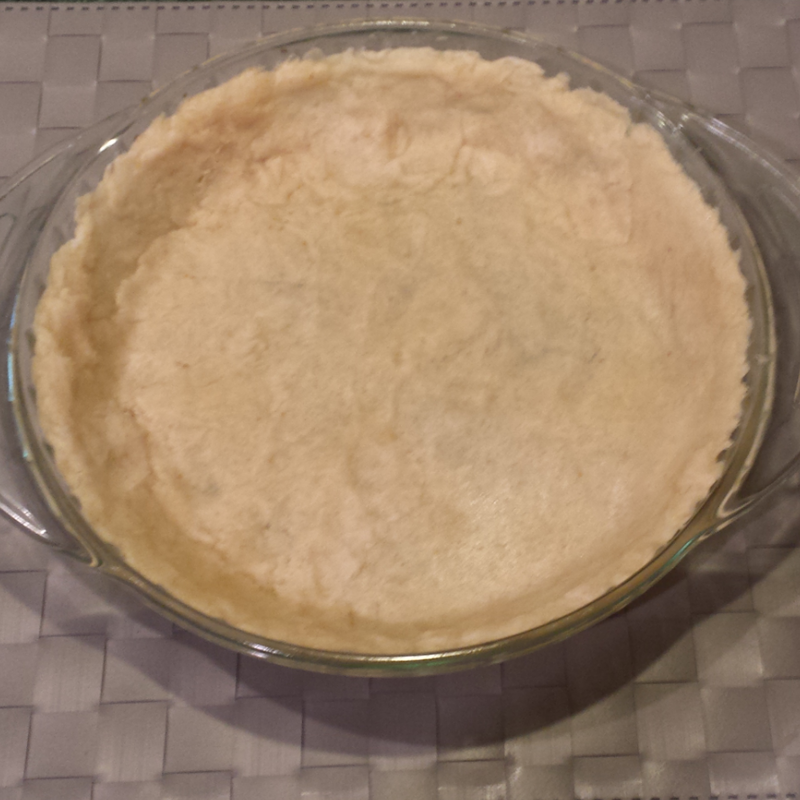 I made a lot of date&nut crusts, which were lovely for pies, but wouldn’t work for anything savory, or anything that just screamed for a real traditional pie crust. When I started working on ‘Majorly Awesome Vegan/Gluten Free Thanksgiving Recipe Roundup’ (or, MAVGFTRR for…short?) I knew I would have to tackle this challenge fear. I searched the internet for inspiration, and was able to find a lot of vegan recipes, and a lot of (really complicated) (with insane ingredients), gluten free recipes, but none of both. I wanted something simple – that I could throw together on a whim – when there was a pumpkin pie emergency. I finally found this one, which met the ‘easy’ and the ‘gluten free’ requirements, but needed some work to be vegan. So I went for it. If you want the original, non vegan recipe, please follow the link! Otherwise, my version is below. I used it last night for a pot pie recipe (coming soon! ), and hope to try it with a pumpkin pie and pecan pie soon as well! It was incredibly easy, and seemed to come out very well. Let’s make it! 9. 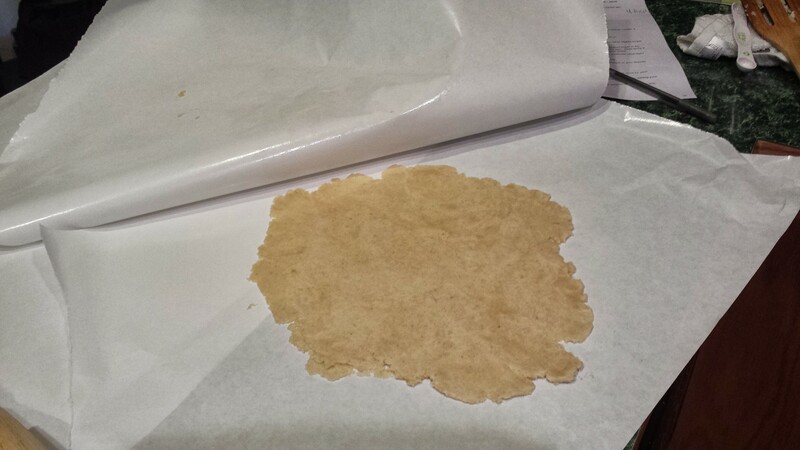 Remove the top of the first piece of wax or freezer paper. This is going to be the bottom of your pie. Flip the dough onto the pie plate, and carefully peel the paper off, as you push the dough into the shape of the pie plate. If it tears, just push it back together. What do you like to fill your pie (crusts) with? Pingback: Vegetable Pot Pie [Vegan/Gluten Free] | Make them whole foods. Make them delicious. And make sure you feel great eating them. This is awesome. I was just asking another blogger friend who posts such delicious pies and tarts to come up with some gluten free idea.. The blogger is novice gardener.. And here I have got it from you :). I am reblogging it. 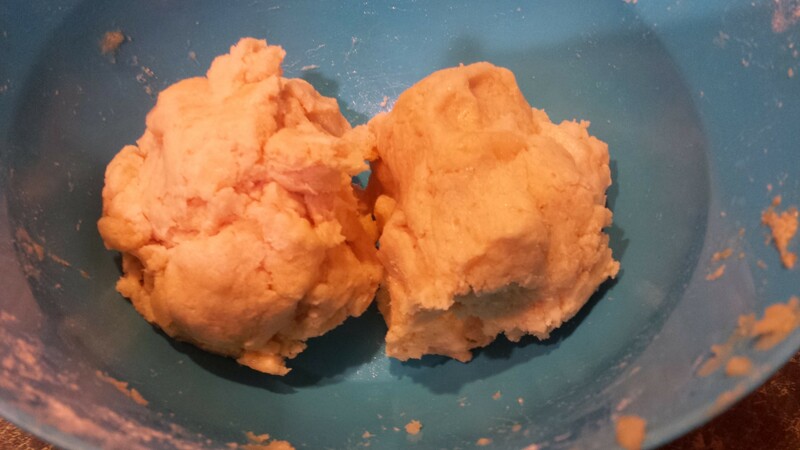 Gluten free pie crust by Chelsea, who writes a blog called Make them whole foods, Make them delicious and. Make sure you feel great eating them. I love her journey of going gluten free and she has created some amazing gluten free bases for so many other dishes like breads, desserts, pies. Enjoy! Pingback: Pumpkin Pie (with a real crust!) [Vegan/Gluten Free] | Make them whole foods. Make them delicious. And make sure you feel great eating them. Made a blueberry pie with this crust, as well as pumpkin. Works well. Awesome! I am so glad you like it!